Make the most of your arts resources with one of our Partner Packages then mix and match activities (below) to build a rich season of performances, creative learning, and inspirational fun. History in 50 minutes: seven actors, two feet off the ground, share 21 square feet of space to recreate the entire American fight for independence from Lexington to Yorktown. Using only the actors’ bodies, voices and (pantomimed) cannons, the show evokes an epic time period in American history. Combining tongue-in-cheek humor with a dash of derring-do, The American Revolution displays the Chicago theater company’s rowdy brand of bare-boned and imaginative physical theater. 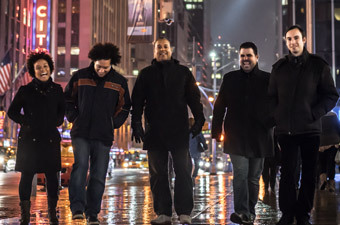 Harlem Quartet, praised for its “panache” by The New York Times, is “bringing a new attitude to classical music, one that is fresh, bracing and intelligent,” says the Cincinnati Enquirer. The quartet, comprised of violinists Ilmar Gavilan and Melissa White, violist Jaime Amador and cellist Felix Umansky, will be joined by the acclaimed Cuban pianist/composer Aldo López-Gavilán in a collaboration that bridges jazz, classical and traditional Cuban music through the works of Dizzy Gillespie, Antônio Carlos Jobim and Abelardito Valdés. The program also features several original works by López-Gavilán arranged specifically for this collaboration. 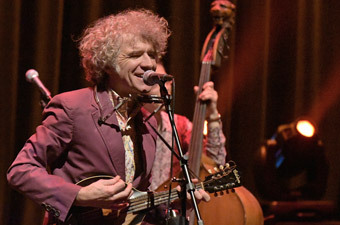 Dan Zanes & Friends return to The Wallis after wildly popular engagements the previous two seasons. 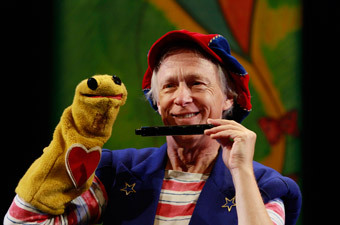 Once again, the Grammy Award-winner will bring his friend Sonia de los Santos for a bi-lingual English and Spanish concert for kids and kids-at-heart. Hailed as one of the world’s greatest dance companies, the Limón Dance Company has been at the vanguard of American Modern dance since its inception in 1946. The Company is the living legacy of dance theater developed by José Limón and his mentors, Doris Humphrey and Charles Weidman, whose innovative works revolutionized American dance. After Limón’s death in 1972, the Company pioneered the idea that it was possible to survive the death of its founder, setting an example for the entire dance field. Now in its 70th year, the Company is renowned for its technical mastery and dramatic expression, and demonstrates both the timelessness of José Limón’s works and the humanistic vision that guides the repertory choices. "WE ARE IN A PLAY!" Get ready for a musical experience ripped from the pages of Mo Willems's beloved, award-winning, best-selling children's books that will leave audiences doing the "Flippy Floppy Floory" dance all night long! 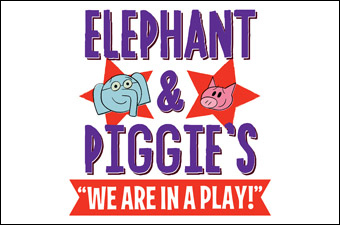 In this vaudevillian romp, Elephant and Piggie sing and dance their way through plenty of pachydermal peril and swiney suspense. 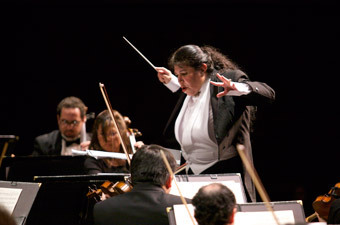 Under the baton of the legendary Maestra Sonia Marie De León de Vega, the Los Angeles-based Santa Cecilia Orchestra breaks down barriers so that everyone can enjoy the beauty of classical music. After its sold-out concert last season, Santa Cecilia Orchestra returns with a trio performing family-friendly classics, including works by Latino composers, in the intimate Lovelace Studio Theater. Los Angeles-based Jacob Jonas The Company is gaining a national profile for its honest storytelling and visceral performances. The company has toured North America since its birth in 2014, bringing its mix of contemporary ballet and acrobatic movement to stops including New York, Vancouver and Jacob’s Pillow Inside/Out Dance Festival. Also known for its film and photography work and its robust social media presence, the company has hosted #camerasanddancers photography meet-ups with social influencers and cultural institutions including The Getty, LACMA, Los Angeles Tourism Board,, Dance Camera West and countless others. Kneehigh Theatre, who wowed audiences at The Wallis with Brief Encounter, return with 946, which was originally produced by our new Artistic Director Paul Crewes. 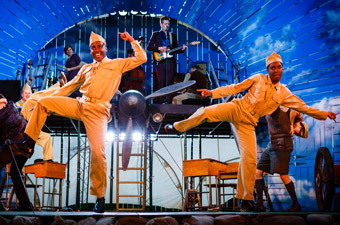 Kneehigh’s signature sorcery of music, puppetry and foolishness will transport us to Slapton Sands, England in 1944. Based on the beloved book by War Horse author Michael Morpurgo, 946 explodes everything we thought we knew about the D-Day landings in this tender tale of love and war. Filter’s explosive and irreverent new take on this beloved romantic comedy of mistaken identity combines dynamic narrative drive with a torrent of sound and music creating one of the most accessible Shakespeare productions of recent years. Since its founding in 1954, the Paul Taylor Dance Company has been one of the world's most sought after ensembles, performing in well over 500 cities in 64 countries, bringing Paul Taylor's repertoire -- now numbering 144 dances -- to every part of the globe. Mr. Taylor continues to make two new dances a year - and will bring a program of new and classic work to The Wallis. Matthew Bourne returns to his roots in Early Adventures, a program of hit pieces that launched the career of ‘Britain’s favourite choreographer’ and saw the birth of the style, wit and sheer entertainment that his company New Adventures brought to Swan Lake, The Car Man, Edward Scissorhands and Sleeping Beauty. 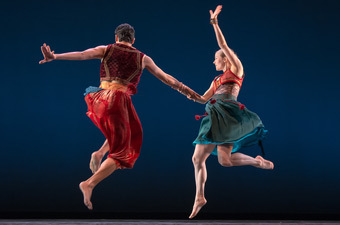 With designs by long-time collaborator, Lez Brotherston, Early Adventures is a US premiere and forms part of the company’s 30th Anniversary celebrations. The Infernal Galop - A French dance with English subtitles: This is France as seen by the uptight English imagination, with all the traditional clichés joyously paraded for our entertainment and climaxing in Offenbach's inevitable Can-Can! Town and Country - Lie back and think of England.. Moving and hilarious, this heartfelt pastiche explores notions of national character from a bygone era through the evocative music of Edward Elgar, Noël Coward and Percy Grainger, amongst others. Spitfire - An advertisement divertissement: A celebration of male vanity and an affectionate comment on the preening grandeur of the danseur noble, it places Perrot’s Pas De Quatre (originally made as a kind of ‘diva-off’ for the four leading ballerina’s of the 19th Century) in the world of men’s mail order underwear advertising.